"It was George Coleridge-Taylor who actually made the outcome successful because it was him who did all the hard research in the background," Pratt said, holding up his own autobiography at the gathering of the great and the good of Sierra Leonean politics, who had turned out to bid farewell to one of Sierra Leone's finest diplomats. "That is to let you know what we achieved on that day," Pratt said at Coleridge Taylor's memorial service held at the Masonic Temple. "If Sierra Leone had not gotten Coleridge-Taylor in that position at that point in time, I very much doubt if China would have been restored to the UN in 1971." "Yes, I did the debate but Coleridge-Taylor did all the academic background research," Pratt wrote in his book. 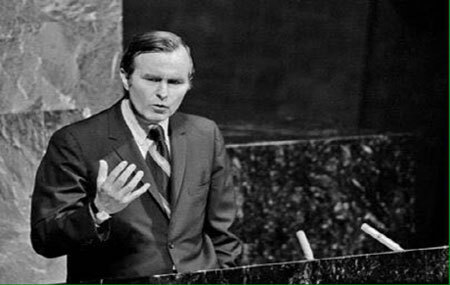 "As George Bush would make a criticism of China, there would be Coleridge-Taylor behind me, passing me the appropriate quotation from his research that I should use to reply to Bush and indeed we were just great that wonderful day." 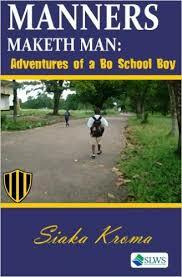 At more than 300 pages long, Pratt's autobiography "Jolliboy: A Most Un-Ordinary African Boy" From Street Starch Hawker to United Nations Debate Champion" has more than enough room for yarns, stories, and funny anecdotes. George Coleridge-Taylor's 176-page memoir, on the other hand, seems an abridged version of what was undoubtedly a full and significant life. In a single paragraph in Transformation in Transition, published by Sierra Leonean Writers Series in 2016, Coleridge-Taylor talks about the "extensive travels" he undertook with Pratt to conferences and official visits, while the foreign minister was busy preparing, singlehanded, the draft of one of Sierra Leone's national constitutions. "It would be an understatement to describe Sierra Leone's international experience in the 1970s as just eventful," Coleridge-Taylor wrote. "One of the important issues was the recognition of the People's Republic of China to replace the Republic of China (Taiwan) as the legitimate claimants to seats in the UN General Assembly and the Security Council," he said. While Taylor acknowledged this was "one of the most momentous moves of the era," the diplomat moved swiftly, in the same sentence, to other dilemmas that were to be resolved, "like the adjustment to two Koreas, a more open relationship with communist regimes like Russia, China and Cuba, resulting in the opening of embassies," he wrote. Coleridge-Taylor was a man in a hurry. Aged 38, he was already a foreign service Mandarin, a top Government of Sierra Leone civil servant and one of the youngest to be appointed Permanent Secretary of the Foreign Affairs Ministry. Throughout his tightly-written book, he shuttled through crucial roles that he played in conducting talks with other countries and organizations on decolonization, African Liberation, African Unity, and apartheid---all top of the continental agenda in his heyday---just as he rotated through Ministry of Foreign Affairs divisions in the 1960s. Coleridge-Taylor used so much tact in dealing with matters that affected the political concerns of the world of his time; the reader is left wanting more on his thirty-seven years in public life. 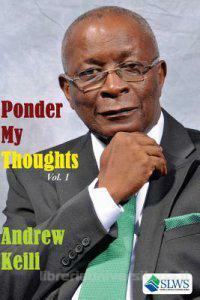 More of his work in collaboration with the foreign ministers of Sierra Leone and the roles he played in foreign policy formulation. Still, he sprinkles the slender book with lots of gems. 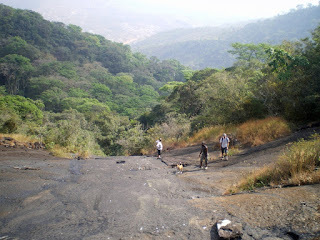 One of Taylor's very special assignments for President Siaka Stevens (first president of Sierra Leone from 1971 to 1985) was his designation as special envoy to the Gulf States as head of a five-man delegation to solicit development assistance in the Minerals, Energy, and Aviation and Transportation sectors. 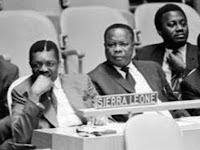 Coleridge-Taylor writes of how Stevens insisted on having him as a member of all his delegations, except for one Organization of African Union Summit in Lome, Togo, where Sierra Leone's peace talks were held years later in 1999. Coleridge-Taylor was also involved as director of finance and administration in the plans and event of the official opening of the Mano River Bridge linking Liberia and Sierra Leone. "As we walked both Presidents across the bridge from one country to the other, many of us could not help feeling that we were making a modest contribution to regional solidarity and, by extension, to international relations." No doubt about it, Coleridge-Taylor led a significant life. In the 1950s, he won the presidency of the Durham Colleges United Nations Student Association as a post-graduate student at the University College Durham, the mother University of old Fourah Bay College, Taylor's alma mater. Midway through the 1960s, he was already a father of four. 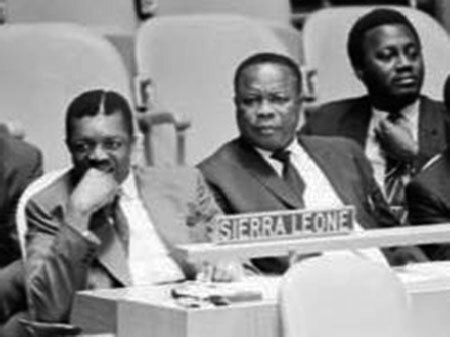 After returning home from the United Kingdom, he served the Sierra Leone Mission to the UN in the Committee on Decolonization and helped establish Sierra Leone at the United Nations as its hundredth member, set up an embassy in Washington D.C., a consulate in New York, a High Commission in London and four West African missions in Conakry, Monrovia, Accra and Lagos. He also launched a bulletin with uniform bits of information from Sierra Leone for external missions in protocol and politics, which "helped catapult him to the top of the Ministry in double quick time. "A diplomat in Accra, London, and a few other European cities, he describes the New York posting as an "enlarging experience" and "probably the crowning glory of a diplomat's career because of the variety, complexity and volume of situations encountered." Coleridge-Taylor is probably one of his generation's greatest representatives to negotiate foreign policy related issues. But I only wish he had given the reader more trivia, as well as facts in his own timeline and life history. "If the narrative proves tedious or incomplete, blame it on my frailty. If you want more, consult me before my twilight fades." May his soul rest in everlasting peace.